Are you a self-motivated and driven IT professional who enjoys a challenge and loves solving problems? Do you want to work with great people on a meaningful mission while also helping to drive innovation? WE seeks a Service Desk Analyst to join our Information Service team that supports the organisation’s broad and expanding needs. As part of the team you will have a unique opportunity to help support the rest of the IS team and staff globally, by leveraging emerging and current technologies. The IS team supports in country and regional offices (troubleshoot printers in the UK office or fix software in Ecuador!). You will have an opportunity to take your work to the next level – all the while doing meaningful work that makes the world a better place. The candidate should have a minimum of 2-4 years of work experience in a service desk environment. He or she must be a problem solver in the field of all things computer. The ideal candidate must also be a quick learner and be able to thrive in an environment of change. This position will be reporting to the Associate Director of Information Systems in Toronto, and the Director of the UK Office. The selected candidate will be responsible for the support, upkeep, improvement and productivity of the UK Office. There is a six (6) month probationary period and salary is negotiable. This position is based out of WE’s UK London office in Wandsworth and will consist of one to two week onboarding and training at our Global Information Systems in our headquarters in Toronto, Canada. Join a team that is passionate for what we do and truly makes a difference. If invited for an interview, the process is multi-staged; candidates will interview once with the Head of People Operations UK and have a second interview with the Director UK Operations and the Associate Director of Information Systems. Unfortunately, we are unable to reimburse any interview expenditure that may be incurred. Closing Date: Applications are reviewed as and when they are received so the post may be filled before the advertised closing date. Candidates must be eligible to work in the UK. We are an equal opportunities employer. We warmly welcome applications from all sections of the community and aim to promote diversity. 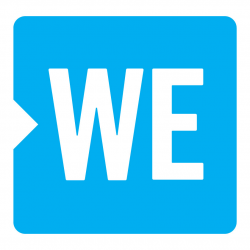 Social entrepreneurs Marc Kielburger and Craig Kielburger co-founded WE and WE Charity (formerly Free The Children) 20 years ago and have grown it into a family of organisations, including WE Day and ME to WE. WE Charity was among the first organisations in Canada to turn philanthropy on its head by creating a legally distinct social enterprise, ME to WE. Through the social enterprise, 50% of the profits support WE Charity, while the rest is reinvested in the social enterprise.